On arrival at The National and entering the Lyttelton Theatre, I was pleased to see that all seats offered a good view. My seat was in row S of the stalls and I could see perfectly clearly from there. The opening scene was in a doctor's office and the play starts with humour in the shape of Emmy (Maggie McCarthy) the doctor's housekeeper who was my favourite secondary character. 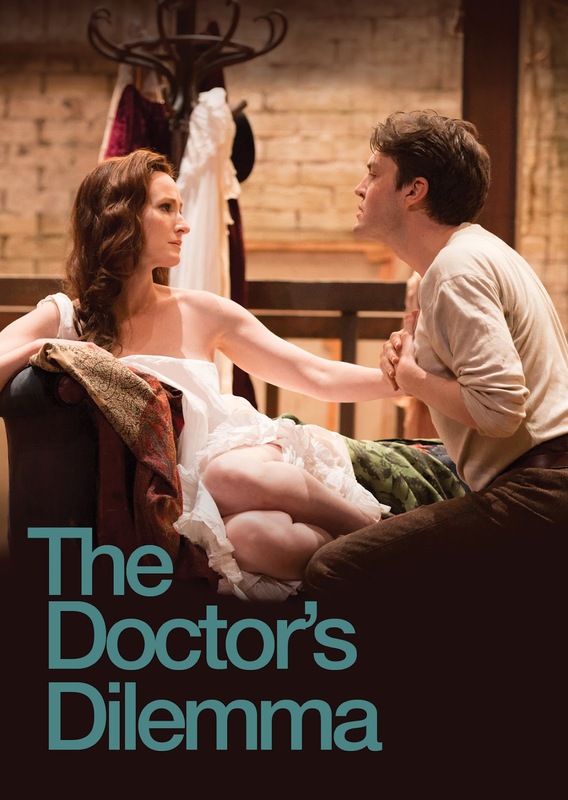 The dilemma as implied in the title of The Doctor's Dilemma by Bernard Shaw is whether Sir Colenso Ridgeon (Aden Gillett) should use his new discovery of a treatment of consumption to treat an honourable doctor, or a talented younger artist. 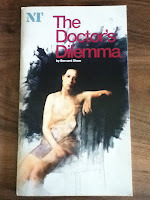 Quite a dilemma indeed, without the added factor of the artist's beautiful wife who all of the older/elderly doctors seemed to take a shine to in a comical yet perfectly typical fashion. The four main doctor characters were brilliant together and they played the comedy in the situation with effect. My favourite of the four was Robert Portal whose character Mr Cutler Walpole was obsessed with surgery being the way to cure people of 'blood poisoning' and provided many laughs. 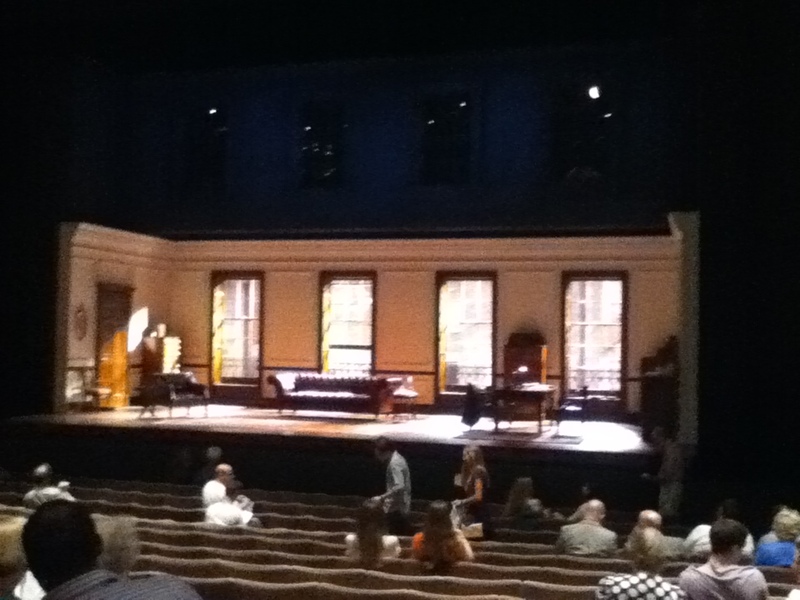 I found the set incredibly surprising as I had wrongly assumed the set as it was on opening would remain for the whole play. I was very impressed with it, but my favourite location was the artist's studio where the action began in the second half. Although I enjoyed the first half, I felt the second half was superior. The chemistry between the artist Louse Debedat (Tom Burke) and his wife (Genevieve O'Reilly) was fabulous, and they switched between comedy, heated discussion and heartbreak with effortless skill. There was also a lot of passion between them, in a very subtle way, but you could not fail to notice it. I don't want to give any of the plot away but I thoroughly enjoyed this show, I thought the cast were incredible, the set amazing and I would recommend it to anyone who enjoys intelligent comedy. The only thing about the theatre was the seat left me with a numb backside by the end of the show (run time 2 hours 40 minutes including interval) and the typical lack of adequate toilet facilities for the ladies. But theatre wouldn't be the same without a queue for the ladies, would it? Find out more at the official website, which includes a great teaser video. Follow my Entertainment list on Twitter. In the interests of full disclosure: I was invited to watch The Doctor's Dilemma in exchange for an honest review of the show. With many apologies for the huge delay in selecting my winners, but I finally got around to putting all the names in a bowl and to avoid arguments got the children to pick a name each. I will email each of you soon and sorry again for the delay. 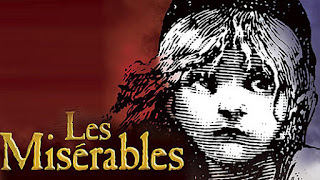 On Saturday 21st July I went to the evening show of Les Misérables at Queen's Theatre in London. This was the third time I've seen this show, and the first time I've seen it since it moved from The Palace Theatre to Queen's in 2004. I have to say of the three times I have watched Les Misérables, this was my favourite. The cast were amazing, with particularly outstanding vocal performances by Tam Mutu as Javert and Danielle Hope as Eponine. Sierra Boggess played Fantine beautifully and broke my heart at least three times. There is a great mixture of drama, humour, romance and action in this show. In fact it's non stop action with the revolving stage ensuring that the cast never stop moving as they go from one scene to the next seemingly effortlessly. I had bought "restricted view" tickets which were in the front row. I would highly recommend these seats for anyone over the height of 5 foot 7ish because they were amazing seats. 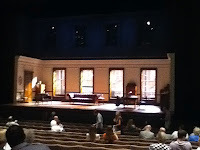 Especially when the cast were on the edge of the stage bellowing at us and almost close enough to touch. The only restriction would be for a shorter person who would not have seen all of the action near the floor. Follow my Entertainment list on Twitter which includes some of the cast. 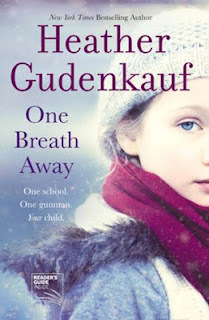 I recently had the honour of being asked if I would like to read a review copy of Heather Gudenkauf's latest novel One Breath Away and also interview Heather for my blog. This is the first author interview request I have accepted because the book was already on my to read list. One Breath Away is now on my favourites read in 2012 list. I can't recommend it highly enough. You can read my review here and without further ado please allow me to introduce you to Heather. Hello, Heather, and welcome to my blog. Heather Gudenkauf is the New York Times and USA Today bestselling author of The Weight of Silence, These Things Hidden, and One Breath Away. Heather lives in Iowa with her family and a very spoiled German Shorthaired Pointer named Maxine. 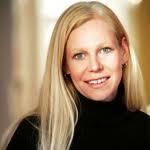 In her free time Heather enjoys spending time with her family, reading, hiking, and running. She is currently working on her fourth novel. Could you summarise each of your books in just five words (per book)? One Breath Away: one school, one gunman, terror! How did you come up with the idea for One Breath Away? The idea for One Breath Away evolved over many years. When I was a senior at the University of Iowa, a disgruntled former student entered a classroom with a gun, killed five and gravely injured a sixth person before turning the gun on himself. At the time of the shooting I was with my roommate near the center of campus, well away from the danger, but close enough to hear the police and ambulance sirens. I often think of that terrible day and wonder what I would have done, how I would have reacted if I had been in that classroom. Why did you decide to write from the perspectives of five different characters? In the last few years I’ve been a silent, seven-year-old girl lost in the woods, a protective older brother, a deputy sheriff, a middle-aged male college professor, an adoptive mother, a teenage felon, a grandfather, a thirteen year old girl, and a sixty-five-year old third grade teacher. How many people get to say that? While I’ve never been lost in the woods (but did get hopelessly lost driving through Chicago once), have never been an adoptive mother, never was a teenage felon (much to the relief of my parents), nor have I been in a hostage situation, I am somehow compelled to explore these personas and the families of these characters. In choosing to write in this way, I also have had the chance to meet some fascinating people. I’ve interviewed a retired Sheriff’s deputy and police chief who taught me about police procedure, a criminal defense lawyer who taught me the ins and outs of state law and the criminal justice system, and two cattle farmers who taught me about reverence and respect for the earth and its animals. These conversations have helped me delve more deeply into the characters I write about. I have always loved reading books written in multiple perspectives and knew when I began writing my first novel, The Weight of Silence it was the only way it could be written. It's a lot of fun stepping into a different character's viewpoint each day, but at the end of the day, it’s a comfort knowing I can step right back into my blissfully, uneventful life! Could you tell us why you wrote two of the characters in the third person and the other three in first person? When writing from multiple perspectives, it is so important to create characters that are very different from one another with unique voices, hopes and dreams. Some character’s stories are told more poignantly in first person while others from third person. How do you think you would react if your own child was in a situation as described in your book? I would be terrified! We want so much to keep our children safe, but very quickly realize as parents that we can only do so much. We send our children out into the world with a great amount of faith that they will return to us safe and sound. When you are writing a novel, do you plan it in advance or write what comes into your head at the time? I always think I have a novel planned out, but in the end the characters within the novel always seem to have something else in mind! What is your top tip for aspiring writers? My advice to those who dream of being a writer – is to do just that – write! It is so important to set aside time each day to get one’s thoughts and ideas down on paper. What's the best advice (about writing or publishing) anyone has ever given you? Someone told me once to write the books that I, myself, would like to read, to follow my instincts, and to write every day. Great advice that I try to follow. Could you give us a little summary of your next book? I am always hesitant to talk about current projects – the story that I originally plan always seems to change (see question 7). I can say I'm working on a story about a loving, caring woman who finds herself responsible for a terrible event and her journey to redemption. Last year, I heard quite a bit about self-publishing and I was wondering if I could publish my second novel myself. Like all new things, I didn't feel very confident in my abilities to begin with, and that coupled with wishing I had all my favourite short stories in one place led me to the conclusion that I should have a "test drive" at self-publishing a story collection before I decided whether to publish a novel in that way. I blogged about the processes I went through in detail (click here to see the posts) and as time went on I was pleased that I'd have a nice little book for my Mum, sister and maybe a couple of friends to have for Christmas. 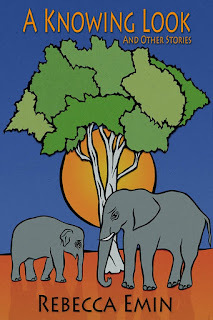 It never occurred to me that this little project of mine would lead to sales. That thought didn't hit my radar until I had struggled my way through my first Kindle formatting and upload session and felt so chuffed with myself that I told my Facebook friends. And within ten minutes 14 of those people had bought a copy, inducing a mad panic as I hadn't even checked it through myself. 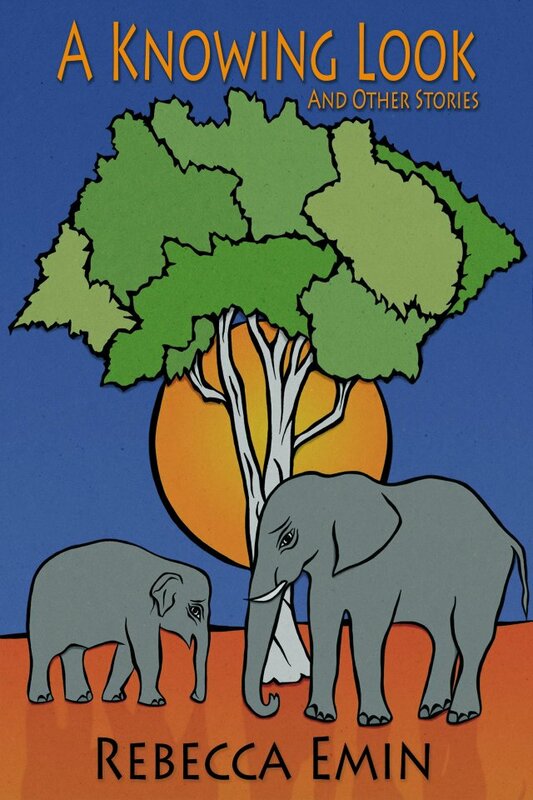 Since then, A Knowing Look and Other Stories has steadily sold across all formats. I am so proud of this collection now. What started as a "test drive" has turned into a book I am incredibly happy to think about, not least because of the reviews it has received on Goodreads, Amazon and elsewhere. I made a decision a couple of months ago to upgrade my paperback distribution to enable people to buy it from all online retailers as well as via "proper" bookshops out in the real world. That distribution is now complete. This book is included in my ebook Summer Special; reduced price applies until 4 September. Thanks, as always for reading. Would you like to come and see a show in London and write about it on your blog? I feel like I have won the lottery! In fact I was so excited I made macaroni cheese for my children and their guests, and forgot to put the cheese in the sauce. Whoops! I will be doing a post about this experience in the next week or so. Today sees the Australian launch of a new Literary Mix Tapes compilation, Deck The Halls as our friends there celebrate 'Christmas in July'. Any excuse for a celebration, eh? For 24 hours only, some of the stories from the book are being featured on the Literary Mix Tapes blog. You can find my sci fi story, Twenty Five by clicking on this link. 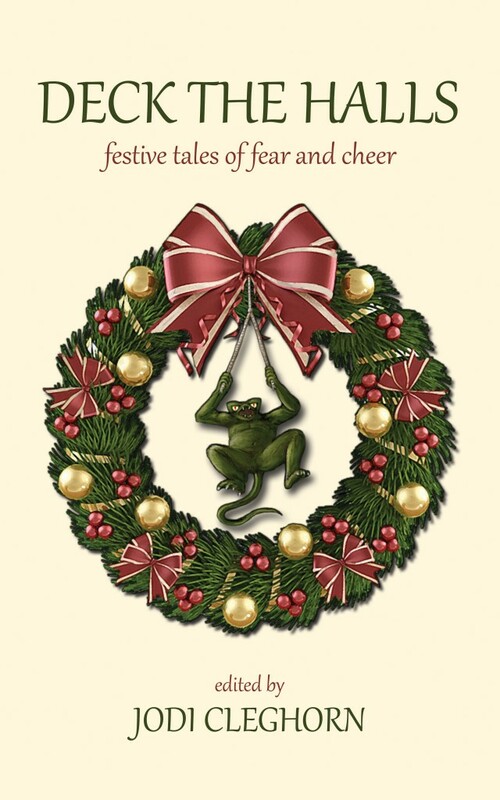 Sci fi is new to me, but when I was given my prompt 'Tis The Season To Be Jolly' this story formed itself in my head. The UK/US/ROW launch of Deck The Halls will be in November 2012. 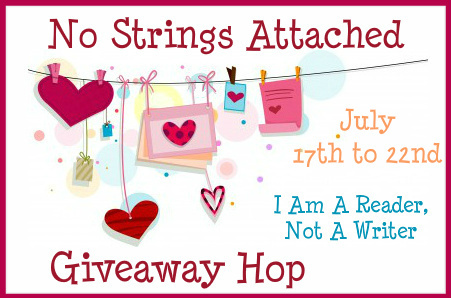 I am taking part in the No Strings Attached Giveaway Hop, hosted by I Am A Reader, Not A Writer. The dates for this hop are July 17th to 22nd. All you have to do is tell me which of my books (plus swag) you would like to receive as a prize if you win. When Dreams Come True (for 10-14s). You can read a bit more about all of the books here. Any comments made before midnight PST on 22 July will count, and a winner will be picked on 23rd. 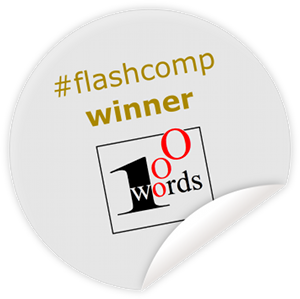 I wrote a 197 word flash to a photo prompt for a competition on 1000 words. I thought I'd link to it today in case any of my #fridayflash friends find the site of interest. You can read my story White Lies by clicking on this link. "Bullying is for people with no imagination."